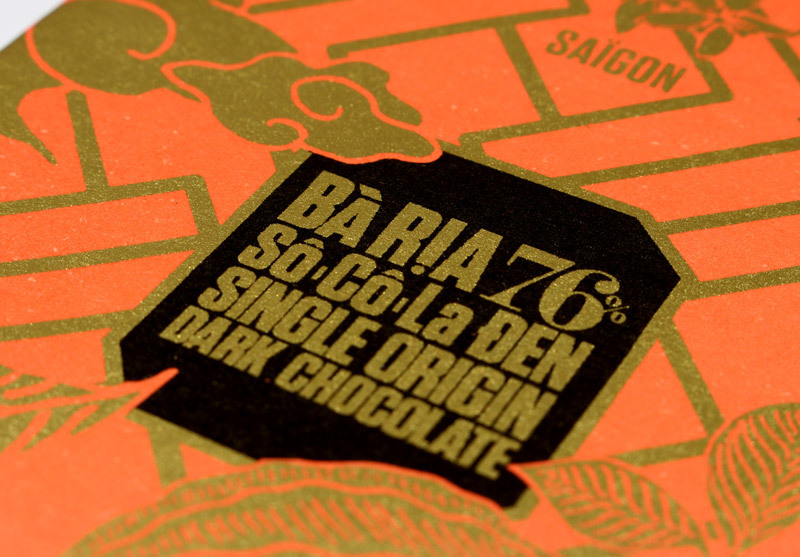 A rich and fruity chocolate, made with beans from the Bà Rịa province of south eastern Vietnam. 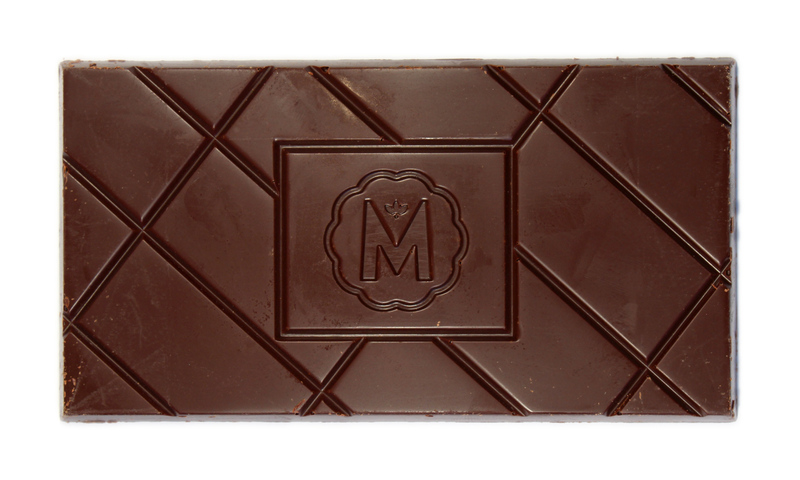 This bar is a sublime and intense chocolate experience that tastes as good as it looks. 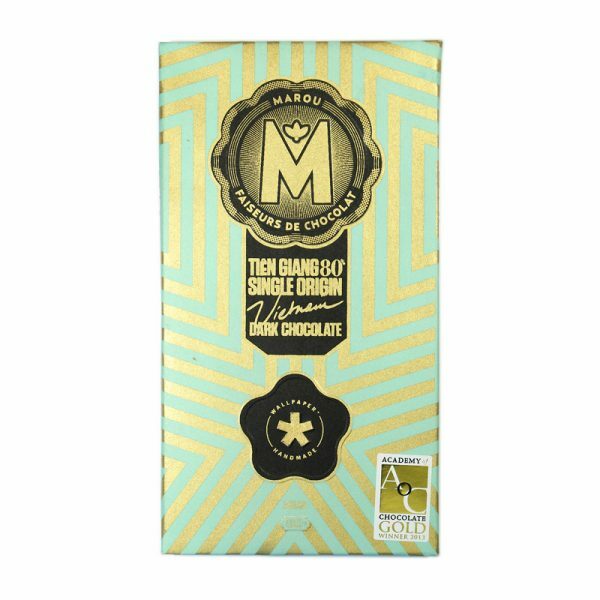 This is the kind of chocolate that makes you look twice at the ingredients to see where the intensely fruity flavour is coming from. 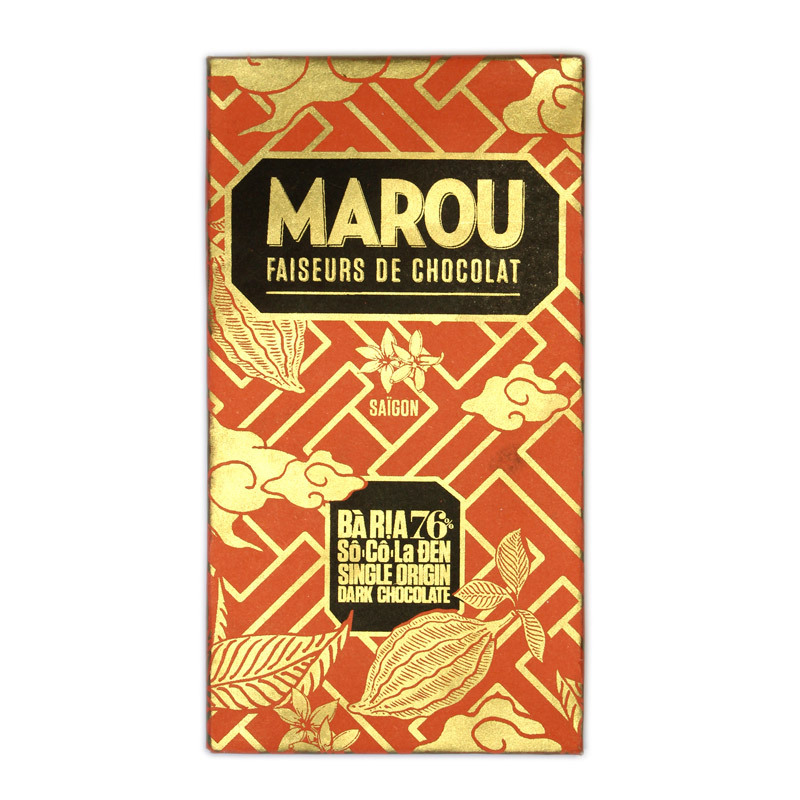 Of course, there are no added flavours, and the deep, red fruit notes in this chocolate come entirely from the south Vietnamese Trinitario cocoa beans. 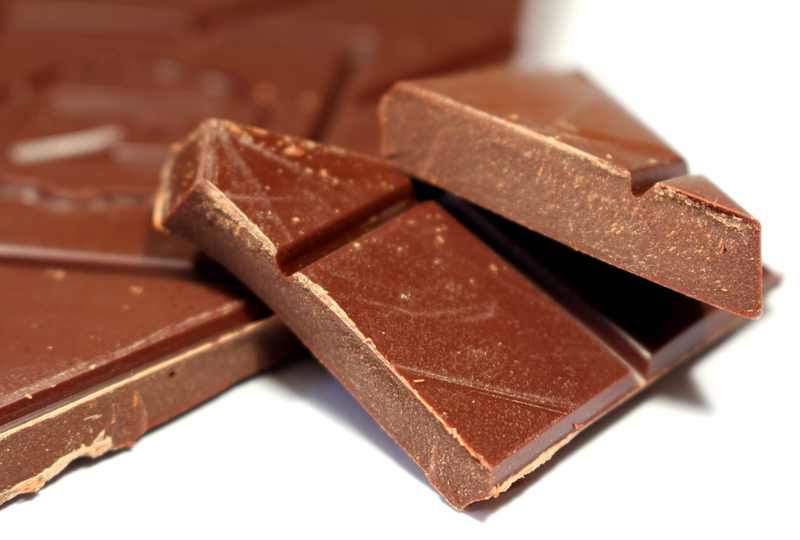 Producing chocolate from the bean in the country of origin is a challenging process. The tropical heat needed to grow cocoa makes producing, storing and shipping finished chocolate bars a logistical nightmare. 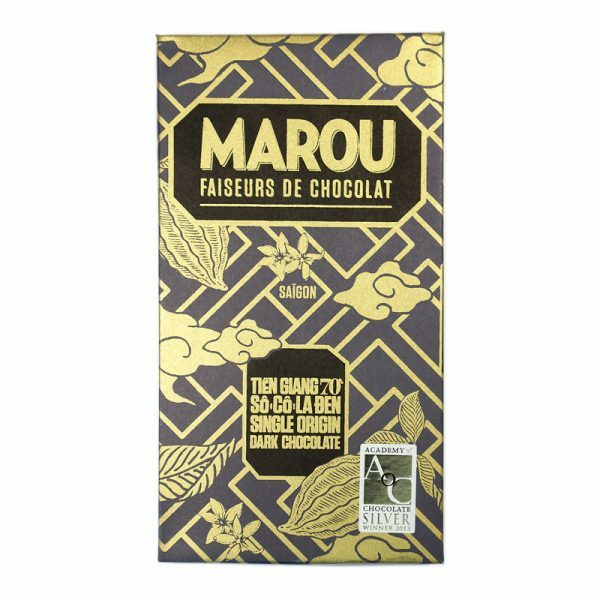 Marou have overcome these obstacles and just two years after they started, they’re already producing some of the best bean to bar chocolate in the world. I'll give it 5, as Janis used to say on Juke Box Jury, because I find that the citrus notes are just about right to balance the richness and fruitiness. This is a perfect savouring chocolate - so much flavour that it isn't really 'moreish' because there is only so much stimulation that my taste buds can take in one sitting. Also love the packaging. 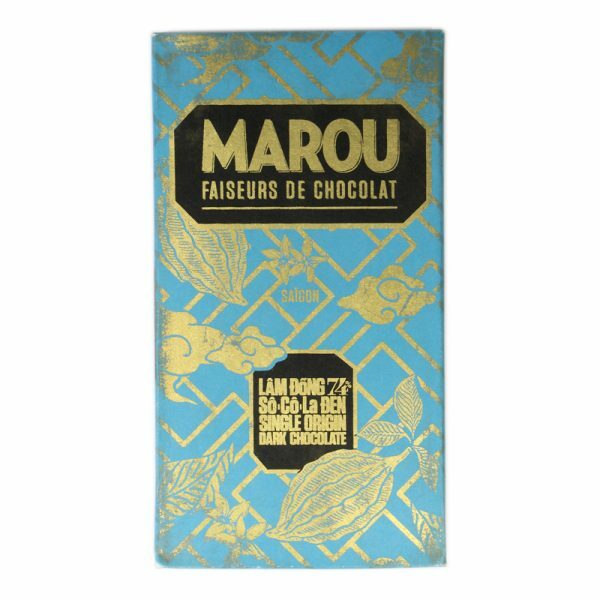 A great bar, lovely packaging - this goes for all the Marou bars. 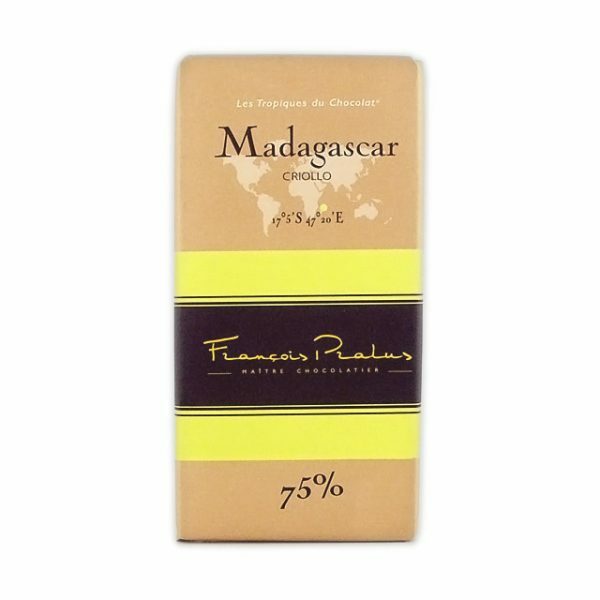 Acidic - maybe too acidic however - and red fruity, with spiced clementine notes, this bar has the right amount of sweetness for a dark chocolate. It is hard to have just one piece of this chocolate, and if it wasn't for the slight tingling sensation I would give this bar five stars.